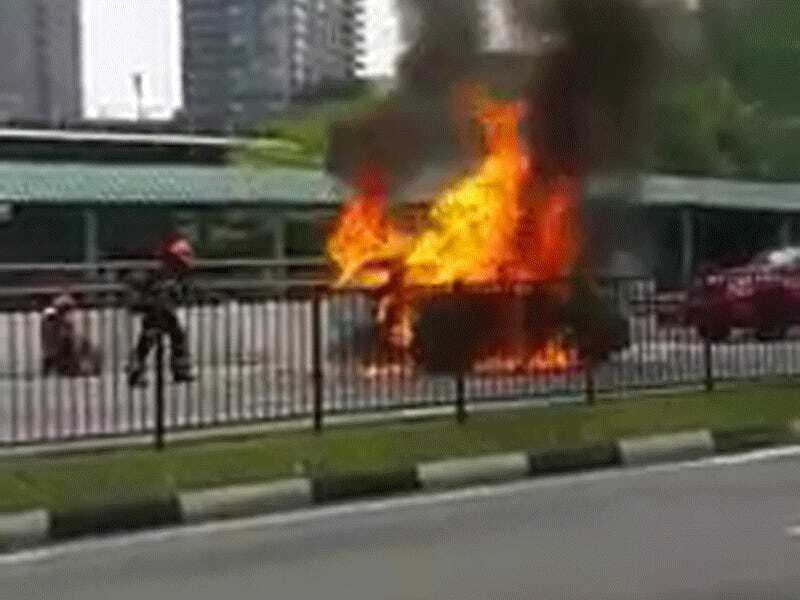 A Toyota Wish taxi was involved in a wreck yesterday near the Buona Vista MRT station in Singapore yesterday, and that otherwise minor crash seems to have triggered a fire that led to an alarmingly massive explosion of the taxi. Four people were injured, including the taxi driver and a firefighter, but thankfully no one was killed. We often see Singapore Civil Defence Force officers running toward danger to save lives and help others. This video of the burning taxi which exploded yesterday shows two brave firefighters battling the fire before the taxi exploded. Good to learn that the firefighter caught in the blast is ok. He only suffered minor burns, and has been discharged. Hope he and the others injured recover soon. After the explosion, the fire was extinguished and video of the aftermath shows just how incredibly powerful the explosion was. 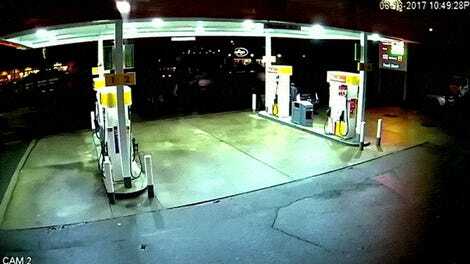 As you’d expect, it looks as if the fuel tank exploded, blowing out the entire rear of the van. 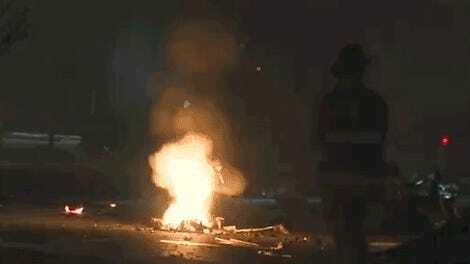 Exploding cars don’t just happen in movies. Be careful out there!